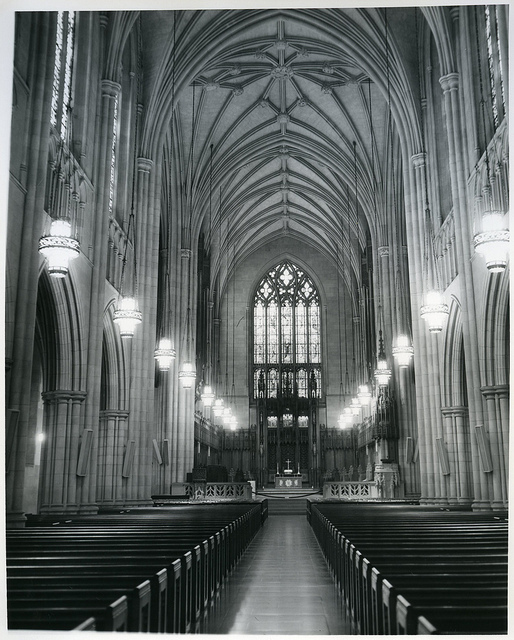 The chapel’s iconic design was the work of Julian Abele, a prominent African American architect from Philadelphia who designed much of Duke’s West Campus, and since Duke University is rooted in the Methodist tradition, Abele planned the chapel for the campus’s center. Construction began on the building in October 1930 after university leaders fitted a strongbox of photos and publications inside its cornerstone. It ultimately took five years and cost $2.3 million, which would be more than $39.4 million today. The bluestone of the building’s exterior was quarried near Hillsborough. 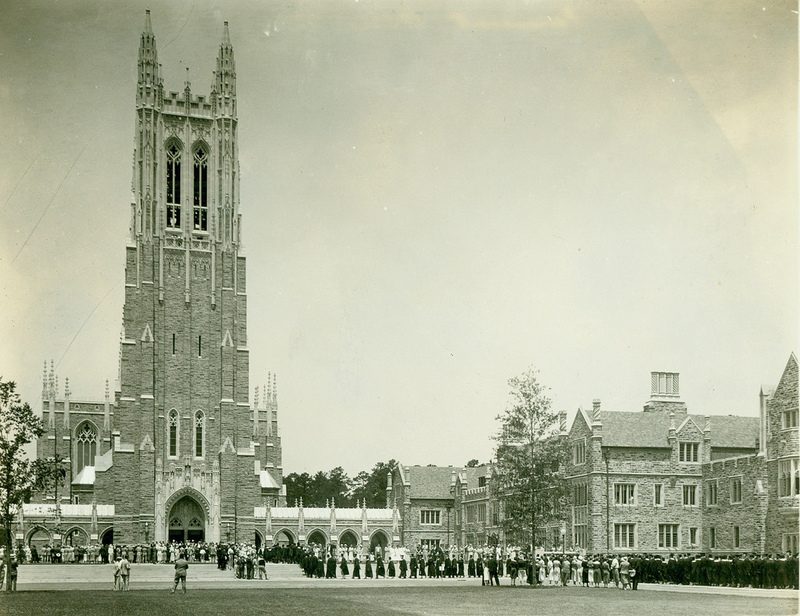 Though not officially dedicated until June 1935, the chapel’s first major use was for Duke’s 1932 commencement ceremony. At that point, many of the windows had not been installed and the interior was largely unfinished. Today, Duke Chapel stands at a majestic 210 feet at the center of Duke’s west campus. A 5,200-pipe Flentrop organ and 50-bell carillon, both added since the first round of construction was completed, are two of the building’s most distinctive features. For more about North Carolina’s history, arts and culture, visit Cultural Resources online. To receive these updates automatically each day, subscribe by email using the box on the right and follow us on Facebook,Twitter and Pinterest.